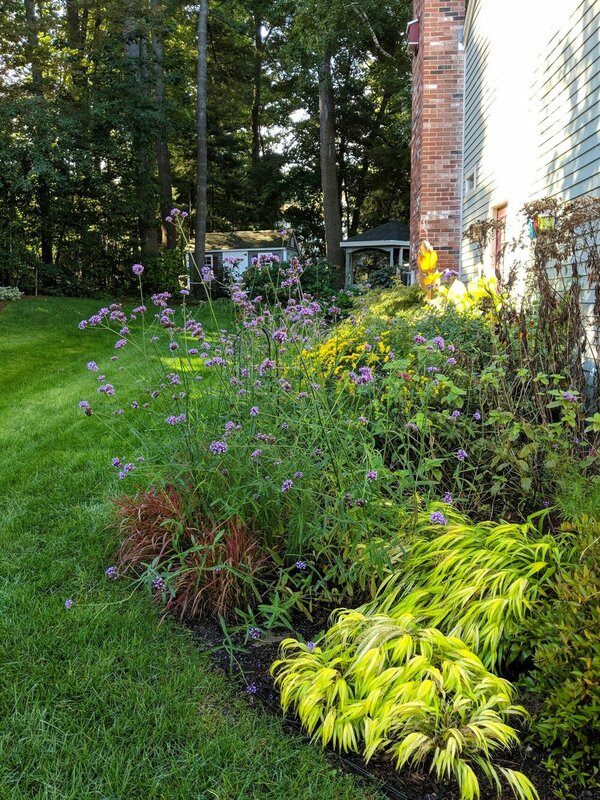 Verbena bonariensis is neither a perennial, nor a native to our Southern NH Zone5b. So, why is it one of my Top 10 Plants for Pollinators? Because of its ability to persist until frost, offering both beauty and food for bees and butterflies in the late summer through fall garden. As other plants are in decline and entering dormancy, this beauty becomes the “shiny object” in the garden. 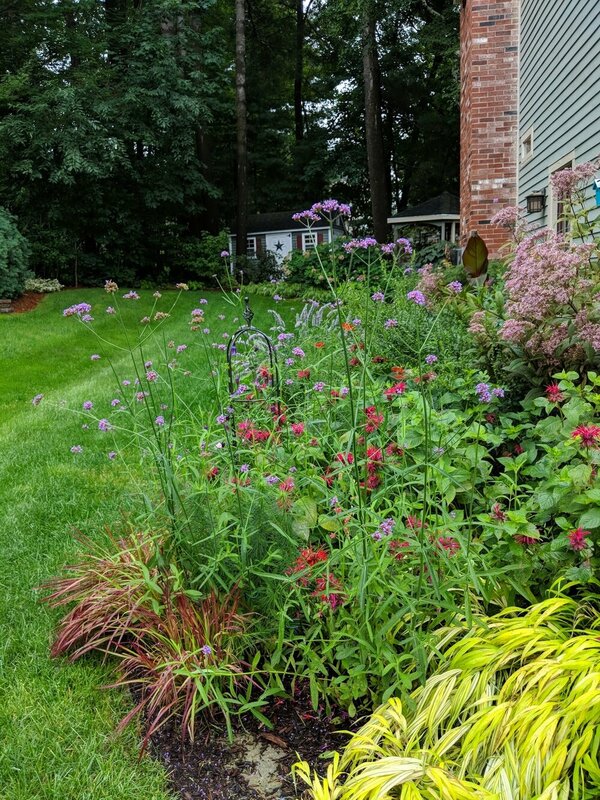 Verbena bonariensis is an annual up here in the New England, but reseeds easily so you only need to start with one plant to gain many over a short period of time. Yes, it may “wander” throughout the garden year after year, but is easily controlled by simply pulling up the young seedlings. Verbena bonariensis seedlings appear in spring (as cotyledons, they might look like a weed - so be careful!) and spend the summer quietly growing up among other plants. When they reach 1” tall and have produced their second set of leaves, they can be easily relocated to other areas of the garden. I gently grab clumps with a gloved hand “pinching” up small sections and strategically planting them in between earlier blooming perennials. This will create a “see-through” effect later in the summer. 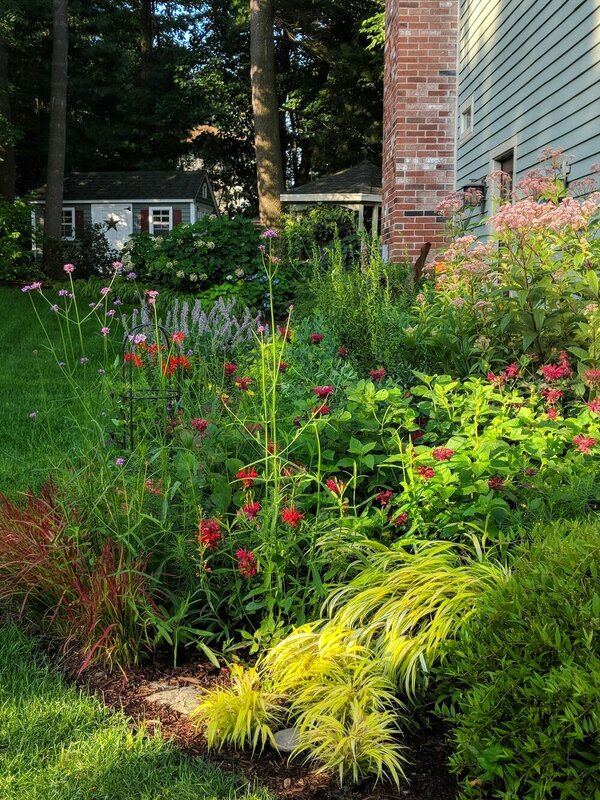 As depicted in the photos below, they are Act Three stars, taking center stage after their companion plants have receded into the background. By late September, Verbena Bonariensis and Goldenrod are the restaurant of choice for our native bees and Monarch butterflies. 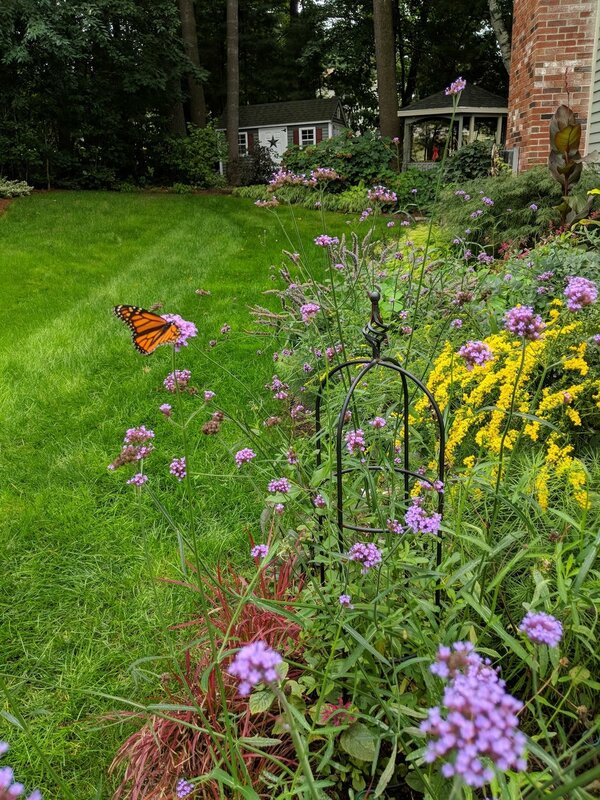 Verbena bonariensis provides essential food for Monarch butterflies. As other perennials have stopped blooming, Verbena will offer habitat until frost. 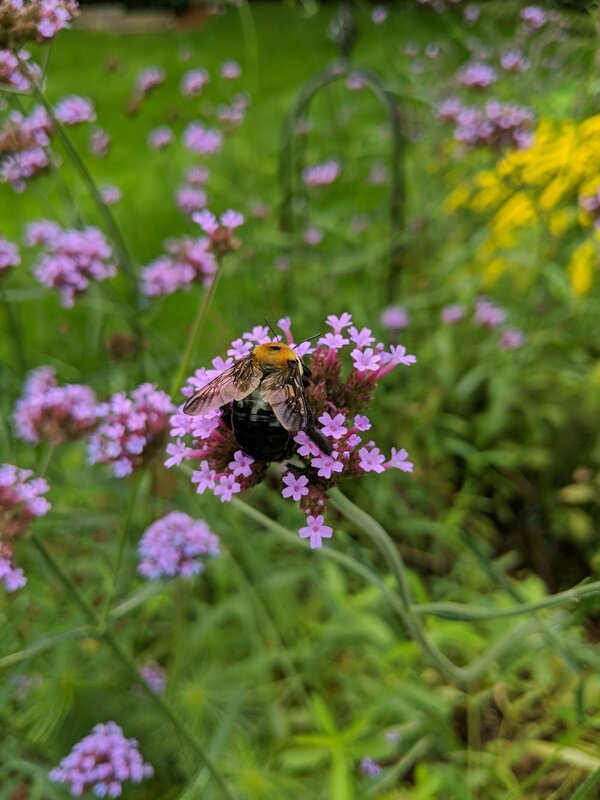 Take the challenge and help pollinators by planting Verbena bonariensis and other important plants for food and habitat as discussed on my website!